The company is a highly acclaimed Manufacturer, Exporter & Supplier of Micaceous Iron Oxide Powder. 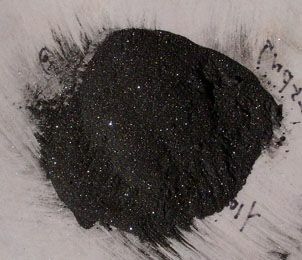 The Micaceous Hematite Iron Oxide Powder is a unique mineral and a very different from other grades of Iron Ore. The production of Micaceous Iron Oxide Powder is very limited in our country. Made using Micaceous Hematite, Natural Lamellar Hematite, Specular Iron Oxide, Micaceous Iron Oxide and Natural Specular Hematite Ore, the Micaceous Iron Oxide Powder is a naturally occurring lamellar form of ferrous oxide for use in manufacturing paint coatings. When viewed under an optical microscope by transmitted light (magnification 200X), the thin flake Micaceous Iron Oxide Powder particles appear as sharply defined red translucent platelets. Without doubt, the Micaceous Iron Oxide Powder is the most important barrier pigment used in coatings to protect structural steelwork from corrosion. The Micaceous Iron Oxide Powder has a 100-year record of successful use on many types of steel structures throughout the world. The Micaceous Iron Oxide Powder forms overlapping plates like mail armor. The Micaceous Iron Oxide Powder reflects ultraviolet light, allows water vapor to escape from the substrate, and is chemically resistant. Natural Micaceous Iron Oxide Powder is used in manufacturing of Electric Welding Rods and Electrodes (Arc Welding) Industries. Micaceous Iron Oxide Powder is used as one of the ingredients of flux mixtures. Leading Arc Welding Rods manufacturers are using the Micaceous Iron Oxide Powder. Micaceous Iron Oxide Powder is used for bridge structural protective coatings, oil rig structural protective coatings, and protective coatings for all types of electrical and industrial equipment where durability and reliability are important. Micaceous Iron Oxide Powder has been successfully used in various paint primers with single or multiple topcoats in alkyd, epoxy, vinyl, acrylic, polyurethane, and chlorinated rubber. Micaceous Iron Oxide Powder has been used in corrosion and weather resistant paint throughout Europe for more than 100 years. The Eiffel Tower is one outstanding example. The horizontal layering of the lamellar (micaceous) particles, overlapping like scales on a fish gives strength to the paint and acts as an inert barrier to the vertical penetration of corrosive elements and ultraviolet light.